Win a Week on a Super Camps course worth up to £235! 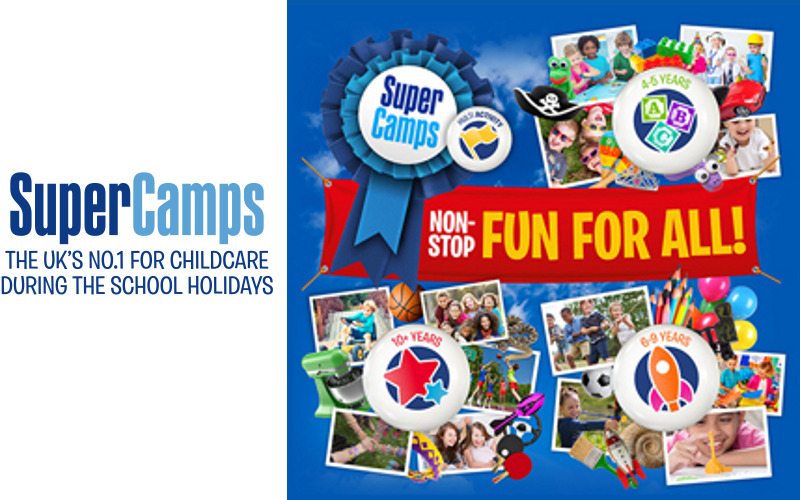 Super Camps is the UK’s No.1 for childcare during the school holidays with 75 camps around the country dedicated to entertaining children over the summer holidays. Having consistently entertained children while reassuring parents at their activity camps for over 20 years, they’re available at fantastic and convenient locations. Each camp offers age appropriate activities to maximise fun and develop skills. Activities include swimming, quad biking, archery tag, bouncy castles and much more. Not to mention, they’re all specifically designed by a team of specialised and trained staff whose number one priority is the safety and wellbeing of each child. The Early Years programme for four to five year olds ensures learning and development within a fun environment. The six to nine year olds can explore new activities and take on new challenges, while 10 to 12 year olds can come together in their very own common room and spend more time tackling activities in depth.